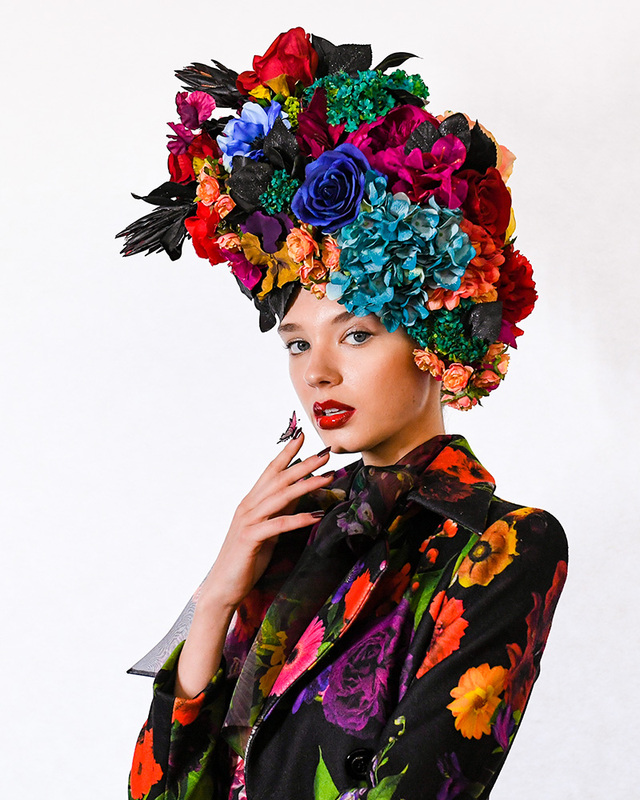 Stacey Bendet, the brainchild behind enchanting label Alice + Olivia, has narrated a story inspired by Fantasia, extracted from the depths of her magical imagination for her Fall 2019 collection. Stacey dares to dream about a contemporary fairytale that waves a magic wand on illusion, empowering beauty and romance; a captivating tale where fantasy was sprinkled upon reality. 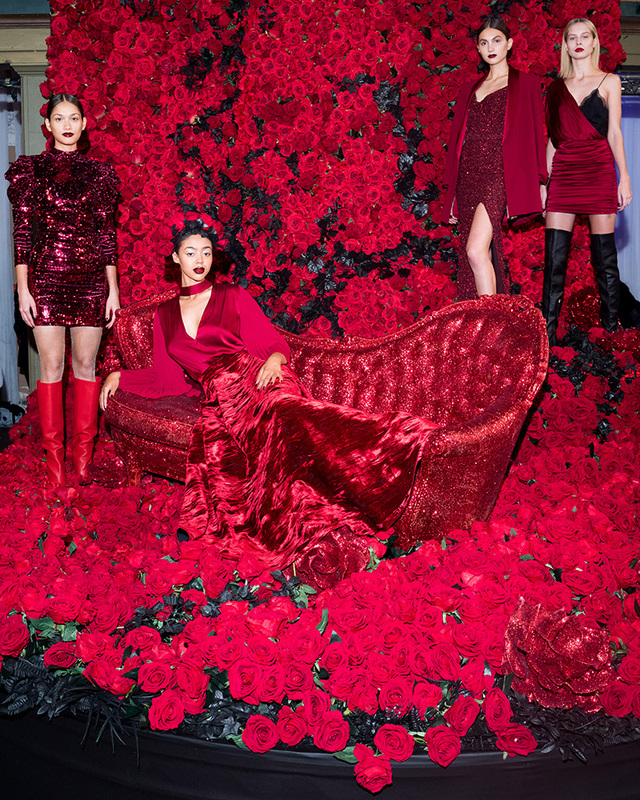 Sensual flashes and ethereal beauty are evoked throughout the clothes in the collection, with a magical and sparkling snowy stage and rooms adorned with glistening leaves, glowing butterflies and red roses. Set amid the enchanting Angel Orensanz Foundation, a rich jeweled toned color palette, along with glittering metallic, monochrome, ruby and pink are enhanced by imaginative prints. Particularly alluring aesthetics come courtesy from The Queens of Fantasia – novel velvet sequin tops were styled with a pleated Bordeaux skirt featuring meters of glistening pleated taffeta and complete with an oversized rose crown. Feathers adorned a full-length ivory skirt and arrived with a gorgeous white puffer jacket – conjuring a vision of a snow princess. Dresses, capes, kimonos, and pants are majestically decorated with butterflies, while statement t-shirts continue to prevail as an Alice + Olivia signature that imbues the snowy theme, featuring details including the female hero along with the sweetest sweatshirt adorned with a rainbow fringe and the word “grateful”.Lavish suiting combined with a vivid color spectrum and prints that imbue emotion demonstrate an empowering collection for the Alice + Olivia woman.